An overview of all your finances in one easy to find location. 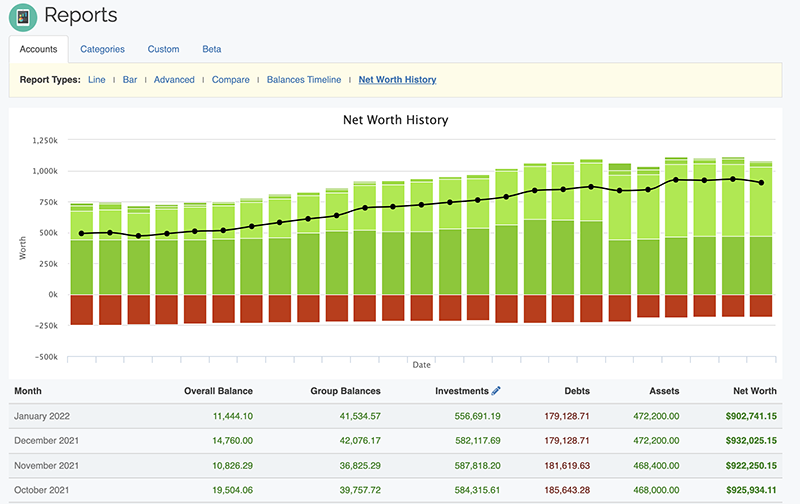 Get a quick glance of every aspect of your finances from our Account Dashboard page. You can add, delete and move various gadgets on this page just like you can on an iGoogle homepage. This page can be fully customized by you so you see everything you want. You can do everything from adding transactions, balancing your checkbook, viewing reports, checking your balances, looking at your budget and more. 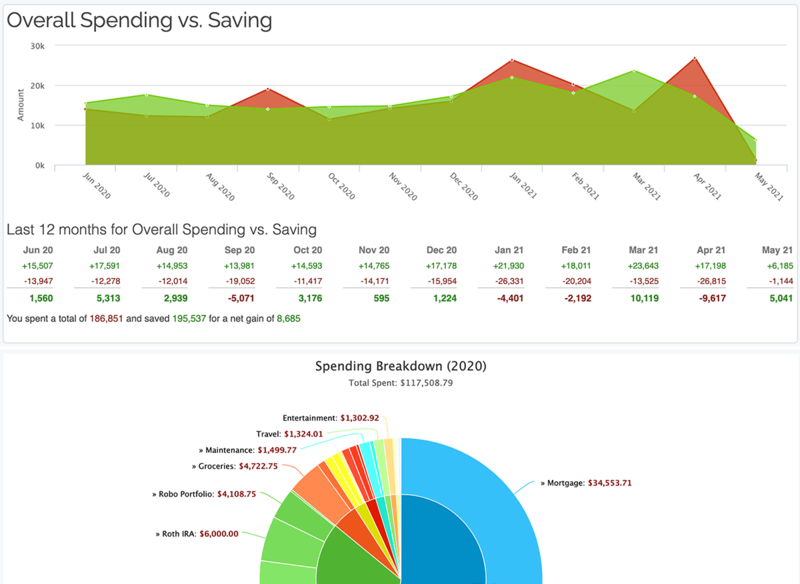 Our reports provide powerful insight into where your money is going and how much you're saving. Want to figure out where all your money's going? We can help you track your savings and expenses and help you grasp what's happening with your money. Select from your various accounts and categories and view them in line, bar, pie and text based reports. We make it extremely easy to find areas you can cut back on spending and make it easier for you to realize where to cut back in order to save money. The old fashioned checkbook register updated for the modern age. Let us take your checkbook register to the next level. With our online checkbook register you can mark transactions as cleared/balanced so you always know exactly how much money you have and what transactions have been cleared with your bank. We will calculate the overall balances for both your uncleared and cleared totals so you'll never accidentally overdraw your account again. This is also a great way of making sure the bank didn't make an error and charge you for something you didn't purchase. Automatically schedule salary deposits, utility payments and more. Have you ever forgotten about a bill that you needed to pay? Never worry about that again! With ClearCheckbook you can schedule transactions and also have us email you as a reminder to pay a bill. We can also take these recurring transactions and use them to project future balances so you'll have an idea of where your finances will be months from now. Keep track of which bills you've paid and find out which ones will be due soon. 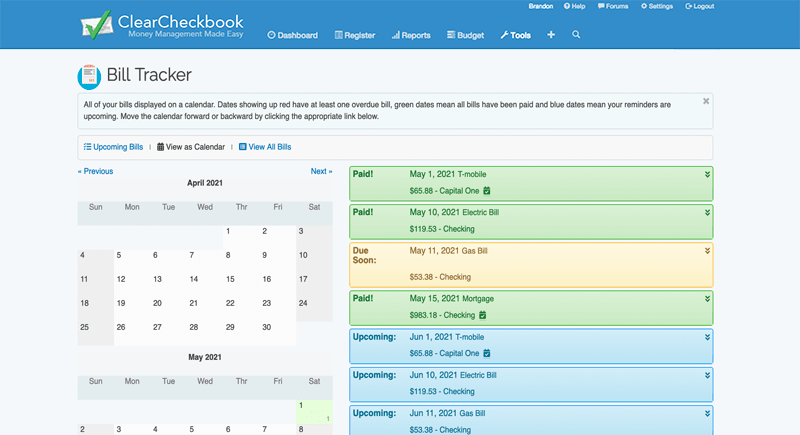 Use our Bill Tracker to manage all of your bills. We'll show you when your bills are due and what upcoming bills you need to prepare for. Once you start paying your bills we'll show you payment history so you can see if your bill payments have gone up or down over time. The Bill Tracker can also easily be hooked into our Reminders and Recurring Transactions system so you can be notified whenever you have upcoming bills or you can have our system automatically post the transaction to your register. Get a better grip on your spending by setting up budgets. 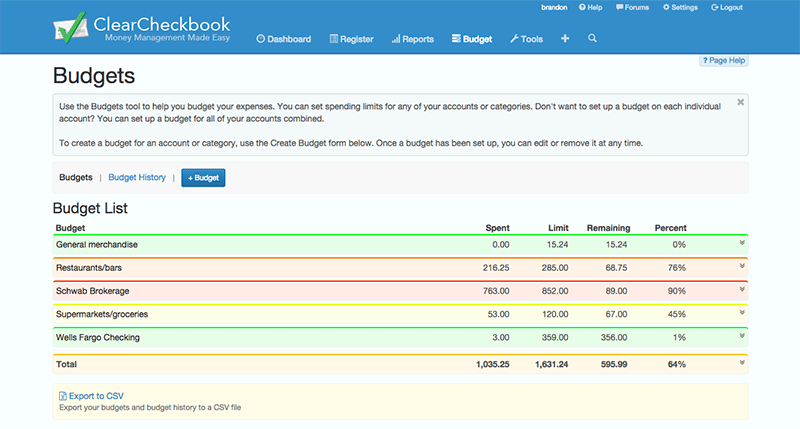 Want to set limits to how much you can spend on a specific account or category? We have a tool built specifically for you! You can set your spending limits and when you would like them to reset and we'll track everything for you. You can also go back and look at previous months limits and how close to your limit you came. This is a great way of figuring out areas you can cut back in your spending. Plus much more. Take our tour to learn more! ClearCheckbook is committed to keeping your financial data safe and secure. Since we don't directly interface with financial institutions we never ask you for bank logins or account numbers. Added security features such as 2 Factor Authentication help give an extra layer of protection to your data as well. Since our founding, we made the choice not to connect to financial institutions to obtain your transactions. This decision was two-fold. First, it eliminates the need for you to ever give out your bank logins, account numbers or other sensitive information. Additionally, it puts you in more control of your finances when you don't rely on a service to pull them for you. This helps prevent any double charges, fraudulent purchases or incorrect amounts from slipping through the cracks. We make managing your finances easy by providing access to your data from any device that has internet connectivity. With ClearCheckbook you don't need to feel like all of your financial data is trapped on your PC. 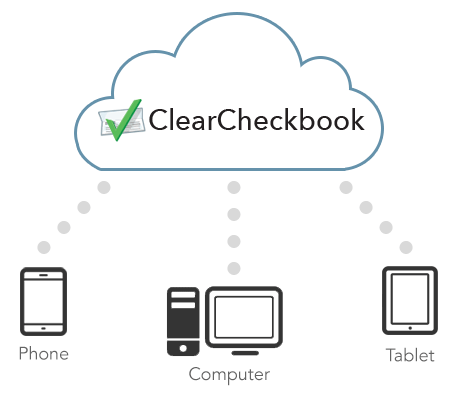 ClearCheckbook can be accessed from more than one location and on multiple devices simply by logging into your account. All of your data is stored centrally on our servers so no matter which device you check, all of your information is up to date. This cloud-centric approach makes it extremely easy to enter your transactions, check account balances, view budgets and more from anywhere you have an internet connection. Out at the store buying groceries? On the couch surfing on your tablet? No problem, use one of our mobile apps to access ClearCheckbook. Any changes you make will be immediately synced with our server. This syncing approach is very useful for couples or families with joint bank accounts. If one person is out shopping and entering their transactions, the other person can immediately see the effect of this on their account balances from their phone or computer. 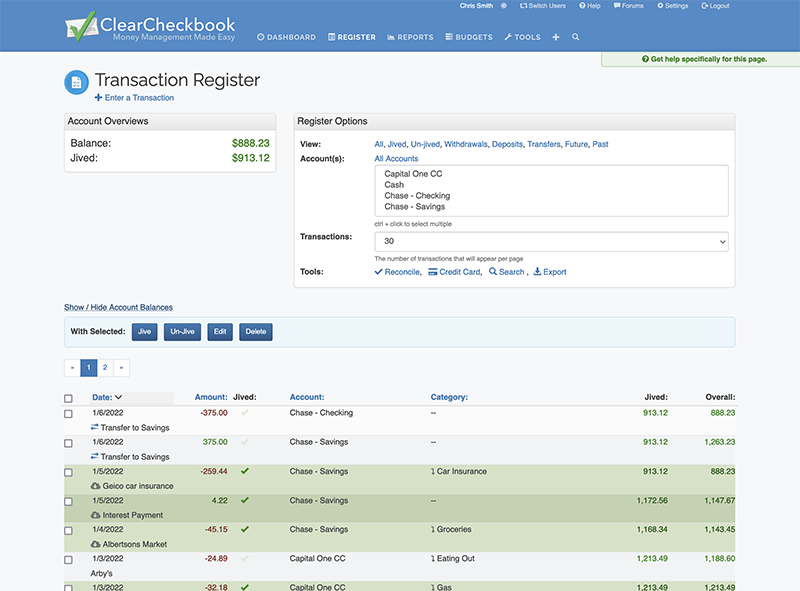 ClearCheckbook is committed to helping you get your finances back in order by providing some of the best tools around for balancing your checkbook, managing your budgets, tracking your spending and more. 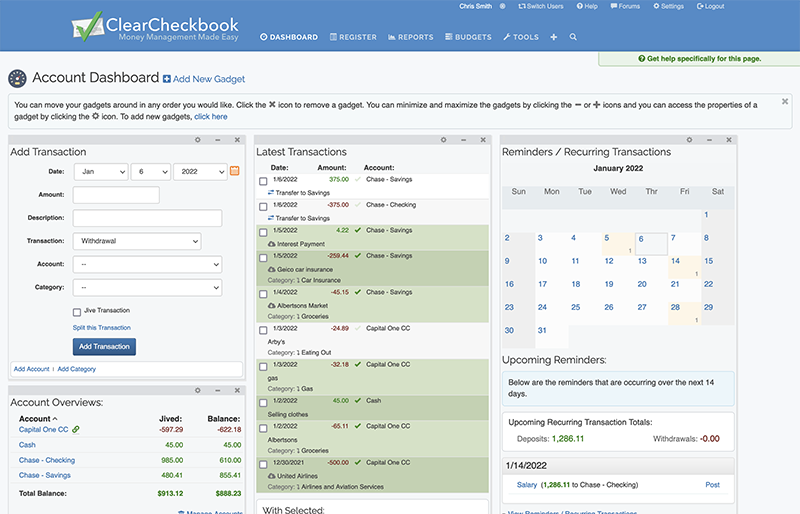 ClearCheckbook.com is an extremely easy way to balance your checkbook online, track your spending, set a budget, manage your money and more. 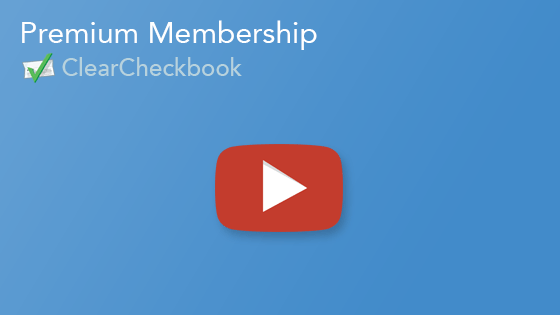 As an online checkbook, you enter your receipts into the site and assign each transaction to an account and category. You can go back through the online checkbook register and mark transactions as "Jived" (our word for cleared/balanced/etc). This way you will always know what transactions have been cleared with the bank and how much money you have. We also use the account/categories you assign a transaction to generate reports and use them for your budgets. We encourage you to try the site out and see how it can help you manage your money and get your finances under control. The site is completely free to sign up and use. We also have some additional premium features that can be activated for a very small monthly payment. In addition to our main website, we also offer money management applications built specifically for the iPhone, iPad, Android and WebOS mobile devices. All of our apps sync directly with the website so you'll always be on top of your finances. Money management is more important now than ever. With everyone taking more of an interest in tightening their budgets, having a powerful tool at your disposal to track all your spending and saving, as well as viewing reports and setting budgets is extremely important. 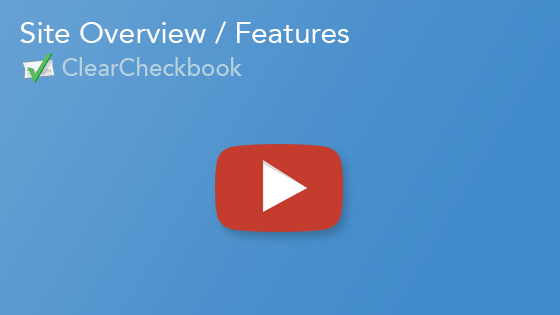 Take a tour of our features and see if ClearCheckbook is the right tool for helping you manage your money. ClearCheckbook can also be downloaded to your iOS or Android Phones. "We give ourselves $400/month to spend on groceries, entertainment, going out to eat, buying clothes, and other accessories. By using this site, we NEVER go over our budget! My husband and I both use this site, so it keeps us on the same page! Thank you SOOOO much!" "After testing several money management systems I stayed with ClearCheckBook because it's easy to use and very robust at the same time. For 4 years now it has helped me to control my personal finances to the point that every decision I now make about purchasing something I come to ClearCheckBook to see if i can afford it." "Microsoft has stopped all support for their financial program MONEY. I had Money 2002 and liked it because I only used the basic features. After recently upgrading to a new laptop/Windows 7, Money no longer worked (too bad, so sad). Quicken had too much stuff in it. Mint.com was hard to figure it and again, wanted to completely take over my financial business. ClearCheckbook.com was a great find for me. Started using right away, easy to figure out and use. Will be moving to the paid version (a whole $4.00 a month) but that is only for the running totals. I was leery about using an online system. ClearCheckbook.com has given me great comfort in this new way." "In the time I have been with ClearCheckBook, every facet of my finances has improved. Whether it be the reports showing exactly where every single dollar is going, or the reminder/recurring transactions calendar that helps me keep up to date with bills, or maybe the fact that I now have a better grasp of budgeting my funds with the Limits gadget. Regardless, the site is set up for easy useage and remains the ultimate personal finance site for any individual, family or small business. There are so many other features offered that are available that will help anyone tackle their finances no matter what the goal be: whether it be budgeting, proposing, or even if you just simply want an online checkbook without taking the risk of sacraficing any of your personal information"
"I started using ClearCheckbook.com as a way to track my cashflow after I started working. It has now become a great way of knowing where my money is coming and going. ClearCheckbook allows me to have a snapshot of how much money I have and where I spend most of my money on each month." "ClearCheckbook.com has solved the problem of the shared checkbook for my wife and me. Now I can see what's going on with our finances without her and her purse at home!" "I have been using Microsoft Money for many years. Since Microsoft discontinued the product I have been looking for an alternative. I have tried many different online packages but ClearCheckbook was the clear winner. I LOVE the Android application so that I can enter items on the fly. You guys are doing a great job, thanks for making life a lot easier for me." "Before finding ClearCheckbook.com I had tried many different ways to keep my check register and categorize expenses including spreadsheets, desktop software, and web applications. 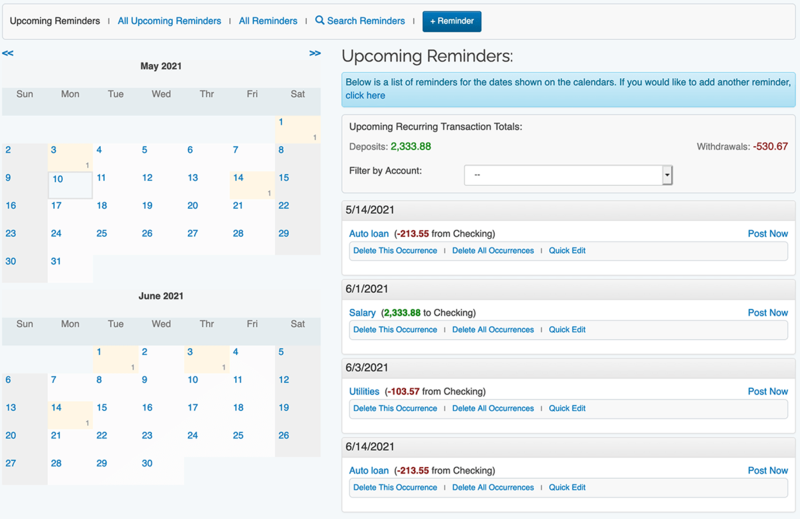 Nothing gave me the flexibility, simplicity, and control that ClearCheckbook.com gives me. I feel so much more secure not having to provide my bank account information, user name and password. ClearCheckbook.com is great, I recommend it all the time." "As a tech-savvy college student, using a traditional check register just didn't cut it for me. 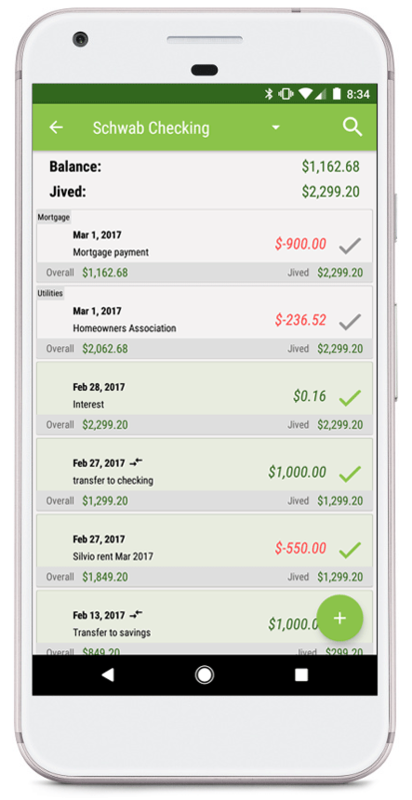 Being able to update my finances at home or on my phone allows me to stay on top of my money in a quick, convenient way. The budgeting capabilities available on the site also help out because, for me, every penny counts."